Unique Vintage Brass Wall clock, Bring home this outstanding vintage clock and add a royal appeal to your drawing room. This is beautiful Decorative unique antique coins studded Wooden Wall clock which provide a unique and different look of your home,office. Dimensions : 18 Inches Height x 18 Inches Wide ; Dial size - 12 Inches .Material - Wood Certified Quality. -------------- Pls beware from Copy product & ensure buying authentic product. Wood is an Ingenious art of form which combines the intricacy of wood carving with the delightful creative strains of a work of art. This involves using wood pieces in their natural colours and textures, delicately cutting and creating the best composition and presenting it in the required theme. The result is the master piece that is interesting too, owing to its " 3D within 2D " illusory effects. Iron T Light Pari Enhance the aesthetics of your home with this classic metal tribal woman tea-light holder in gold and black by The Ethnic Story.The woman is seen carrying a basket giving this piece a very traditional look. With its exquisite craftsmanship and sophisticated design, this work of art can also make a great gifting option for various occasions. This is beautiful handmade elephant ambari statue made of metal with Pearl work & studded glass emerald.This is metal painted jeweled elephant ambari figurine for home decor & showpiece.This unique metal elephant ambari statue crafted by our skillful craftsmen. Pushpam Arts is a brand that believes in adding meaning to every single home decor product. This striking kadam wood sculpture captures the elephant's inherent majesty. Its lordly stride, intelligent expression, strength and power radiate from the hand-carved piece. The perfect gift for elephants lovers. The decorative plate has an interesting feel as it will make any corner glow. Resting on a wooden stand, the product has a mughal floral theme with beautiful painting done on it. This style of painting is done in all royal palaces of Rajasthan.Traditional colors, gold painting and kundans further embellish it.other than personal utility, it can be used for gifting too. Being handcrafted, it may have mild variations in the design and colour. It can be a good Gift for wedding , Anniversary and house warming. Home decor, Corporate Gifts, Marble Gifts, Gifts in Mumbai. Wooden Desktop Penstand is an exclusive item for gift as well as home decor handcrafted by skilled artisians this item has no match and is being manufactured by Pushpam Arts. 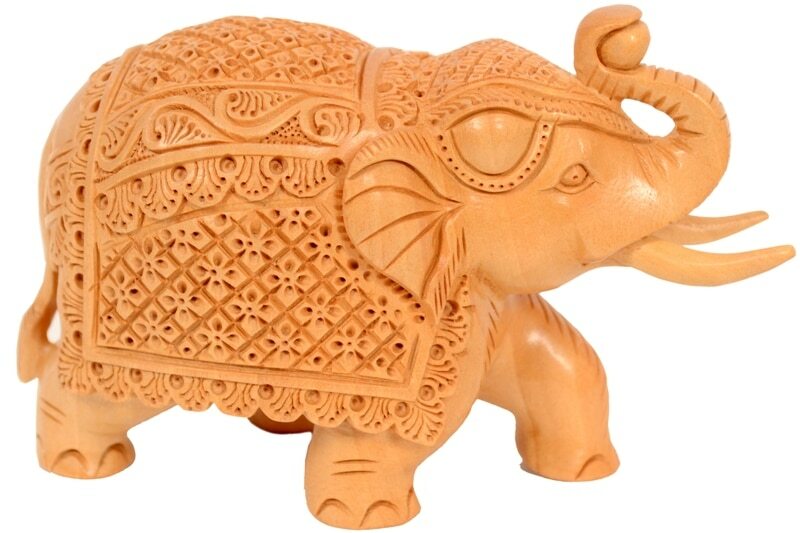 We are one of the oldest manufacturers, wholesellers and exporters of handicraft items in Mumbai with our manufacturing base in Rajasthan, and for the first time we bring ourselves online and direct to the buyers,retailers and wholesalers to offer our best quality products along with best competitive prices.